After years of searching and testing, Colorado Pen introduces our own private label ink from deep in the heart of the Austrian Alps. 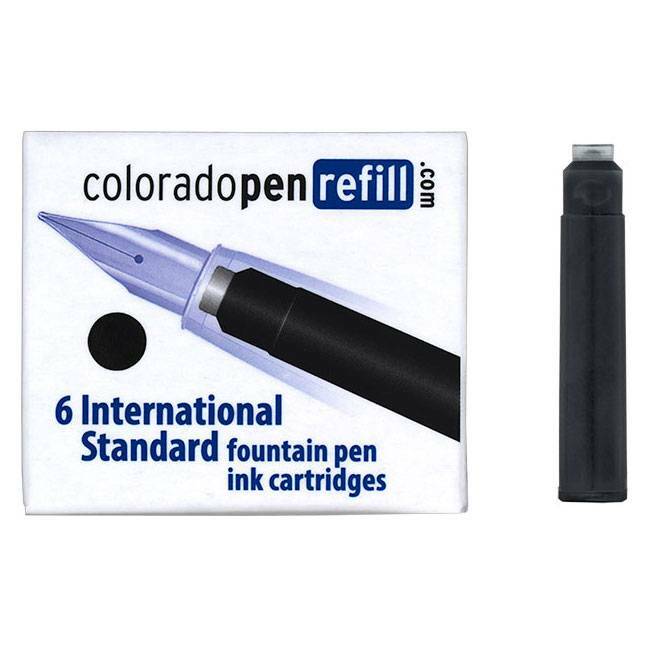 Drawing this velvety, specially formulated ink into your favorite fountain pen or Eco-rollerball is a pleasure. Forming letters and jotting off a quick signature is enthralling. 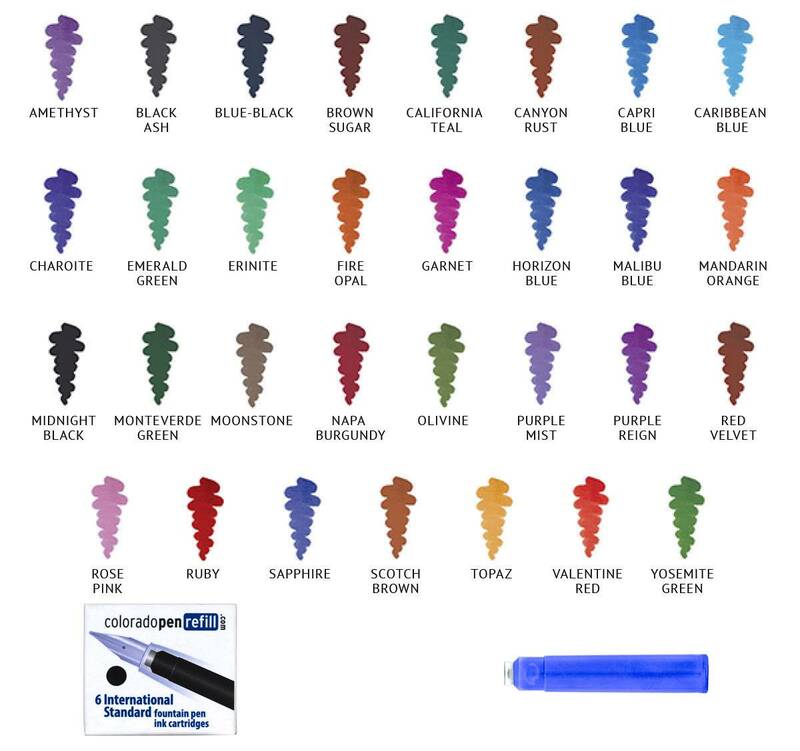 Choose from 29 colors. Vibrant and enjoyable ink with a hint of present day tech.